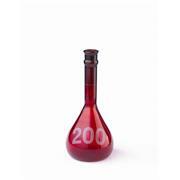 Protective PVC coating for longer product life and safety Graduated to show approximate capacity Heavy wall Autoclavable (121 °C) and resistant to thermal shock Tubulation O.D. 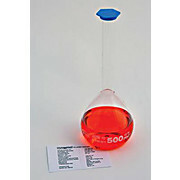 is 10 mm on sizes up through 1,000 mL and 12.5 mm on 2,000 and 4,000 mL sizes (tubing is non-coated). 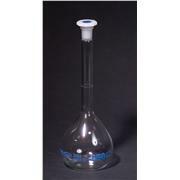 SYNTHWARE flat bottom boiling flasks with full length standard taper outer joint. 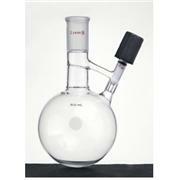 All sizes are heavy wall design and are hand blown from borosilicate tubing to ensure uniform wall thickness. 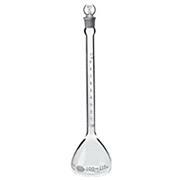 These PYREX® three neck flasks have two angled side necks at the same height with Standard Taper outer joints and a larger center neck with a vertical Standard Taper joint. 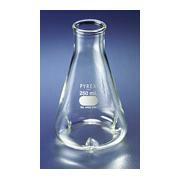 This is a 1L PYREX® replacement flask with a 29/42 outer Standard Taper joint for the No. 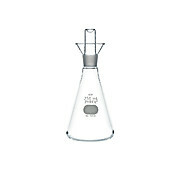 3840-XL 1L extractor system. 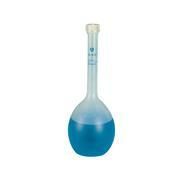 The tubulation O.D. 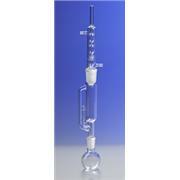 on the condenser is 10mm. 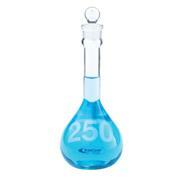 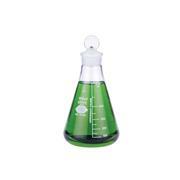 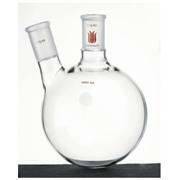 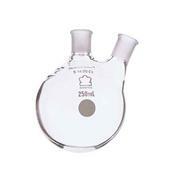 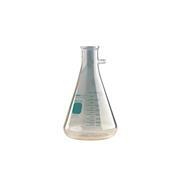 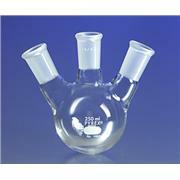 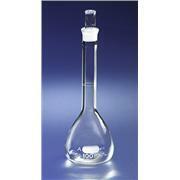 Round bottom flask with short neck and outer joint. 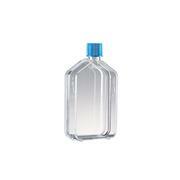 Available in standard and heavy wall. 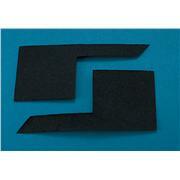 Heavy wall approximately 30% heavier than standard wall. 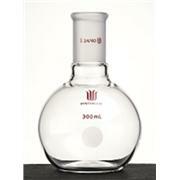 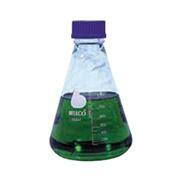 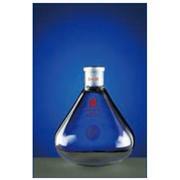 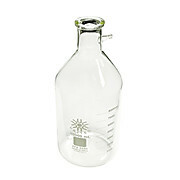 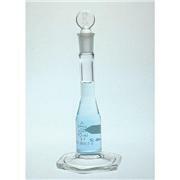 Used by glassblowers in fabricating single or multi-necked flasks. 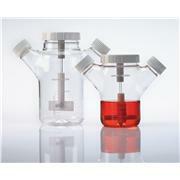 SYNTHWARE transfer/storage flask for long term storage of deoxygenated solvent. 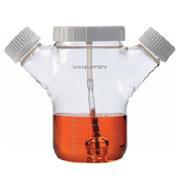 Recovery of solvent is done thru the valve body using a cannula or syringe. 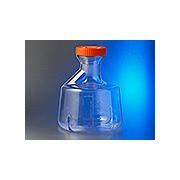 Ideal for shaker culture applications. 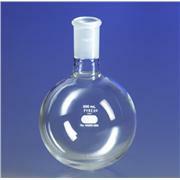 PETG Bottle & HDPE Cap Sterilized by E-Beam Nonpyrogenic Packaged in sterile bags Non-toxic and environmentally friendly. 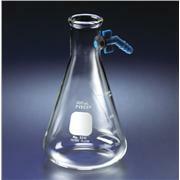 SYNTHWARE round bottom, heavy wall, two neck flasks with standard taper outer joints on both the center neck and the angled side neck. 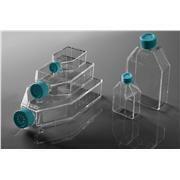 All sizes are hand blown from tubing to ensure uniform wall thickness.